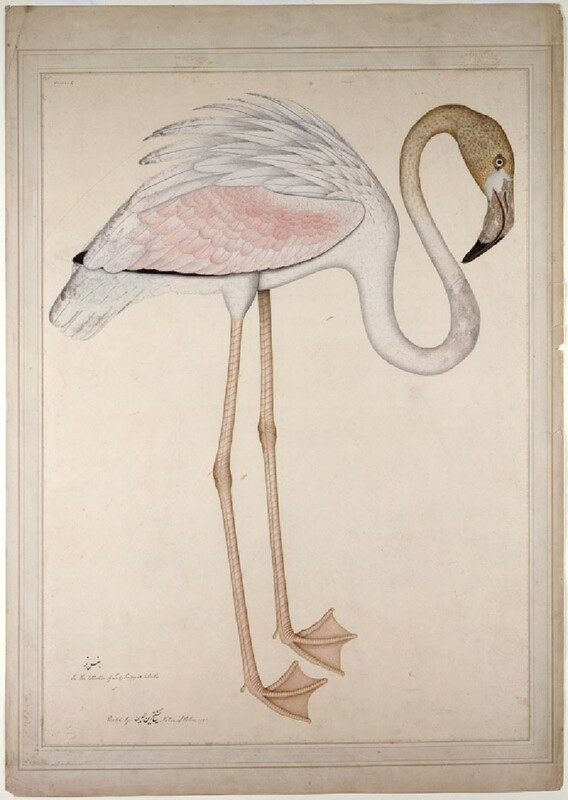 The largest and most widespread flamingo species, the Greater Flamingo is found in parts of southern Europe, Africa and Asia, including coastal areas of India and Pakistan. 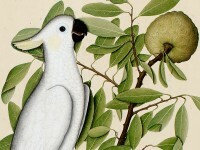 It is the state bird of Gujarat. It favours salt-marshes and shallow lagoon habitats. A shrimp-rich diet contributes to the pinkness of its plumage, not always well maintained in birds kept in captivity. 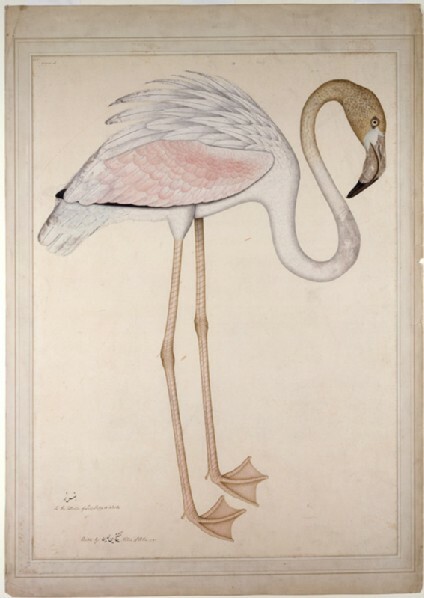 Shaikh Zain ud-Din’s composition accommodates its long neck in a sinuous S-shaped undulation.